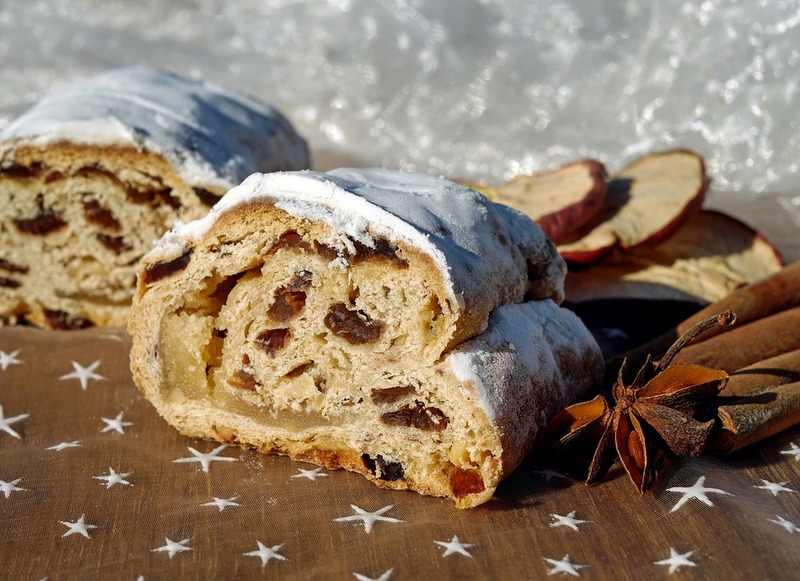 Stollen is a traditional German recipe which makes a fantastic alternative to Christmas cake. 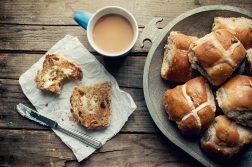 In our house, and in German tradition, a piece is eaten each of the four Sunday’s in the lead up to advent and then over the Christmas period. 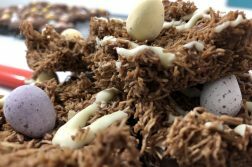 As with any traditional food, everybody has their own recipe – which is why this recipe is in three parts, three different recipes. Stollen can vary hugely – some recipes are far closer to fruit bread, whereas others are much more reminiscent of a cake. Stay tuned with all three stollen recipes so you can choose the best one for you! This is my grandmother’s tried and tested stolen recipe. It doesn’t contain marzipan and lies to the breadier end of the spectrum, fantastic for those with a slightly less sweet tooth. 1. Soak the fruit, peel and put the almonds in the rum. 2. Preheat your oven to 250 ˚C. 3. Sift the flour into a large mixing bowl and add the dried yeast, mixing thoroughly. Make a well in the middle and add the egg, butter, sugar, and salt. Add the milk and stir to make a soft dough in the middle; then gradually mix in the remaining flour. Beat well until the dough comes off the sides of the bowl, then turn out onto a floured board and kneed well for at least 10 minutes. 4. Form into a ball and place in a well-oiled bowl, cover with a cloth and leave in a warm spot to prove for 30 minutes. Knock the dough back, replace in the bowl and leave to rise for another 20 minutes until the dough has doubled in size. 5. Place the dough on a cloth on the worktop, cover it with the prepared fruit (pour off any surplus rum so the fruit is not too wet) and press the fruit well into the dough. With a round piece of wood, like a sawn-off broomstick for instance, make a dent in the dough leaving 2/3 on one side and 1/3 on the other. Make another dent in the middle of the longer side. Now roll out the narrower side to make a flap and fold this up and over so that the edge comes to lie along this dent. 6. Transfer the stollen to a baking sheet and without delay put it in the oven, turning the heat down to 175 ˚C. Bake for 50 minutes but watch that it does not burn. If it gets too dark, place some foil over the top (check beforehand that your foil can be used in an oven). 7. Leave to cool on a wire rack, drizzle with melted butter and dredge with icing sugar. Tip: As you get used to baking stollen you will soon find that you can adapt any recipe to your exact taste – adjust the fruit to cake ratio, opt for a sweeter base and switch up the marzipan.